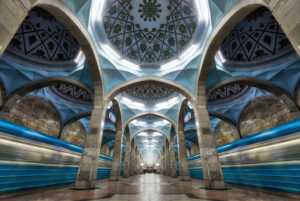 The Cabinet of Ministers of the Republic of Uzbekistan on March 25 approved a new procedure for employers to obtain a license and confirm foreign nationals. 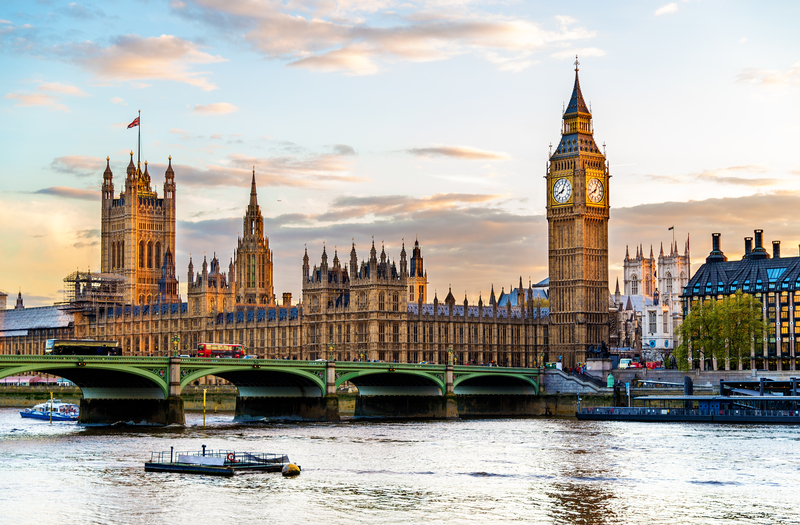 Changes to the framework including a broadening of the definition of “employer,” a more streamlined process, a significant increase in fees, and limiting three-year confirmations to certain categories of persons. Read the complete Dentons article here. Last week, the Department of Homeland Security (DHS) published the final rule amending regulations governing H-1B cap-subject petitions. For a detailed discussion of the proposed rule, see our recent blog post here. The final rule, however, makes some changes different from those set out in the proposed rule. 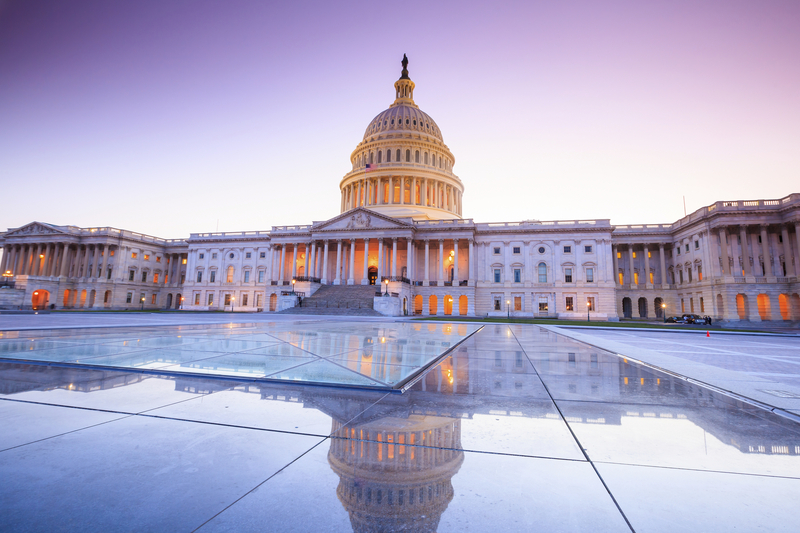 Though suggested in the proposed rule, the final rule clearly states that an online registration requirement will not be implemented for the FY 2020 cap season. The agency explains that before implementation, it wants to complete user testing and other evaluative tools to ensure the system and process are fully functional. Employers should be ready in 2020 for the FY 2021 H-1B cap season, when the process change will likely take place. US Citizenship and Immigration Services (USCIS) will announce the implementation in advance of the cap season in which it will implement the requirement. 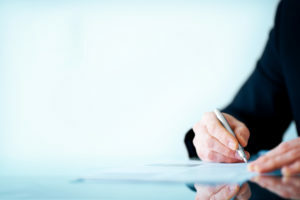 Currently, H-1B cap-subject petitions filed under the advanced degree cap are selected first, and unselected petitions get a second bite at the apple—an opportunity to compete, along with the regular cap petitions, for one of the 65,000 visas available for workers holding bachelor’s degrees. The final rule reverses this order. Effective April 1, 2019, USCIS will first select 65,000 petitions from all submissions, including both regular and advanced degree petitions. USCIS will then run a second lottery to select enough qualifying petitions to meet the 20,000 cap exemption for individuals with advanced degrees from US institutions. DHS states that the change will increase the chances of H-1Bs being awarded to individuals with US master’s degrees or higher by up to 16%, or 5,340 workers. Time will tell. Why DHS thinks random holders of US master’s degrees will better serve American competitiveness than will holders of bachelors’ degrees in targeted fields of study, such as STEM, or who otherwise meet the goals articulated in President Trump’s April 2017 executive order directing an interdepartmental review of the H-1B visa program, was not addressed in the final rule. Employers need to submit full H-1B cap-subject petitions during the first week of April. Please contact your lawyer now to be fully prepared. Meanwhile, Dentons will continue to closely monitor any changes to the regulations surrounding the H-1B program, particular regarding the pre-registration requirement, and update you as needed. We draw your attention to the entry into force on January 16, 2019, of Federal Law No. 216-FZ of July 19, 2018 on Amendments to Article 16 of the Federal Law on the Legal Status of Foreign Citizens in the Russian Federation. This law considerably changes the area of migration relations that had been considered the least formalized. 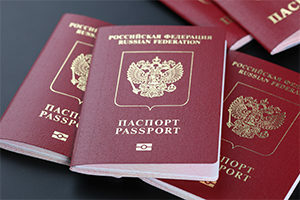 It involves measures for the foreign citizen to comply with the rules of stay in Russia (such as leaving Russia on time at the end of the period of stay and complying with the stated purpose of the visit), the liability for violation of which was previously imposed on the foreign citizen. Serve the foreign citizen a notice again signature that the foreign citizen needs to comply with the purpose of entry and warning the foreign citizen of liability for failure to comply, as soon he/she enters the country. The form of the notice is approved by the Ministry of the Interior of Russia. Provide the foreign citizen with the conditions he/she needs to comply with the stated purpose of entry (e.g., employing a foreigner who entered the country on a work visa, or arranging business negotiations for a foreigner who entered the country on a business visa). Stay in contact and correspond with the foreigner. Inform the Ministry of the Interior of Russia if it is discovered that the foreign citizen has not left Russia at the set time or if the foreign citizen fails to comply with the rules of stay, and also if contact is lost with the foreign citizen. The form(s) for doing this is/are approved by the Ministry of the Interior of Russia. Remind the foreign citizen in advance (at least 10 days before the visa expires) of the need to leave Russia. The reminder: (i) is sent to the foreign citizen by registered letter with notification or by email with confirmation that it has been read, or (ii) is personally delivered to the foreign citizen against signature. Assist the foreign citizen in overcoming various circumstances preventing him/her from leaving the Russian Federation on time (e.g., not having money to leave, loss of documents). As stated above, this draft RF Government resolution with list of measures to ensure an invited foreign citizen follows the rules of stay in Russia has not yet been published. It is anticipated that the RF Government will publish the resolution in the near future. We will provide information about this on our website. The Code of Administrative Offenses (Article 18.9(2) of the Code of Administrative Offenses) establishes the inviting party’s liability for failing to take the above-mentioned measures. This liability is in the form of administrative fines on the officer and on the organization of up to RUB 50,000 (on the officer) and up to RUB 500,000 (on the organization). Considering the above, at this stage we recommend taking action to make a list of all foreign citizens your company has invited and who hold currently valid visas (whether work, business or guest visas). This will make it possible to then take all of the measures listed above to ensure they comply with the rules of stay in Russia. Click here to read Dentons article. Does USCIS interpret its regulations consistently and correctly? In December of last year, the US Supreme Court agreed to review Kisor v. Wilkie, a case that could have a major impact on immigration law. At issue is the degree of deference a court must accord an agency’s interpretation of its own ambiguous regulation. How much deference courts should afford agencies in interpreting their own regulations is a central question in administrative law. It determines how much an agency is allowed to stray from the original wording of a regulation it promulgates before it becomes necessary to issue a new regulation. It is dangerous to grant agencies unfettered discretion based on the assumption that their personnel will wisely and fairly carry out their duties. Changing presidential administrations often result in new agency directors and the likelihood that political beliefs will change how existing regulations are interpreted. If an agency seeking to revise a regulation follows the legal requirements of the Administrative Procedure Act (APA), there will be notice of proposed rulemaking and a comment period to identify any issues. There’s also a published regulatory history from which to glean meaning and intent. Too often, however, federal agencies, rather than comply with the APA, seek to regulate through policy interpretation memoranda. On its face, Kisor v. Wilkie has nothing to do with immigration law. In 2006, James Kisor a Vietnam War veteran reopened a claim for disability benefits, citing new evidence that supported a diagnosis of PTSD. While the Department of Veterans Affairs (VA) agreed with the diagnosis and approved the 2006 claim, it declined to grant him retroactive benefits based on his initial 1983 claim, asserting that he had failed to present “relevant” service records required under VA regulations governing reconsideration of benefits claims. The Court of Appeals for the Federal Circuit deferred to the VA’s interpretation of its own regulation and found in the agency’s favor. In the context of immigration, the US Citizenship and Immigration Services (USCIS), a branch of the Department of Homeland Security (DHS), is the federal agency that oversees lawful immigration to the United States. Under current case law, significant deference is granted to USCIS’ interpretation of its own regulations. This deference has allowed the agency to change certain visa programs over time, often without issuing new regulations but instead relying on policy memoranda to implement what increasingly seems to be an agenda driven by White House politics rather than good policy. In October 2017, USCIS issued a policy memorandum reversing the burden of proof and eliminating the prior practice of deferring to previous approvals in the adjudication of petitions to renew H, L and other non-immigrant visas. The idea was that USCIS would accept the original determination as correct and would not review all the visa requirements again. With the elimination of this practice, visa holders merely petitioning for an extension now have to prove every criteria applicable to their visa category, even though USCIS already decided that they met such criteria. Effectively, extensions now require the same level of documentation as the original petition. This change has led to extensions being denied, thus creating confusion among alien workers. In April 2018, USCIS updated its webpage for Optional Practical Training Extension for STEM Students (STEM OPT), providing that the training experience of STEM OPT workers may not be conducted at the place of business or worksite of the employer’s clients or customers. In May 2018, the USCIS changed the way it calculates the accrual of unlawful presence for nonimmigrant students and exchange visitors (F, J and M visas, including F-2, J-2 and M-2 dependents). 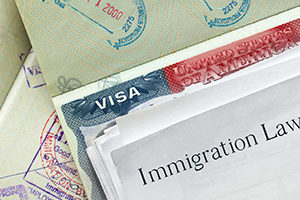 The changes increased the likelihood that individuals in these nonimmigrant visa categories would have problems with future immigration benefits. (See our previous posting “Stricter unlawful presence rules for foreign students and exchange visitors”). In May 2018, USCIS revised its Policy Manual, announcing it would no longer count the jobs created for US workers through tenant occupancy of EB5 properties, which effectively reduced the amount of immigrant investor funds available to create jobs for US workers. (See our previous posting “No more EB5 job creation through tenant-occupancy models: New USCIS policy reduces availability of immigrant investor funds to create jobs for American”). In November 2018, USCIS published a new policy memorandum explaining how to calculate the 12 months of employment abroad, a key requirement under the L-1 intracompany transfer visa program. (See our previous posting “How to count to 12: USCIS clarifies L1A visa requirements”). In November 2018, DHS published its mid-year regulatory agenda, which included a proposed rule to revoke the H-4 employment authorization final rule. If adopted, the proposed rule is expected to become effective in the first half of 2019 and would impact all of the more than 100,000 individuals currently holding an H-4 employment authorization document. (See our previous posting “Proposed end of H-4 employment authorization likely to affect over 100,000 families”). 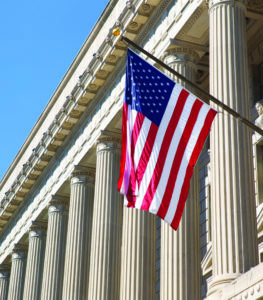 While USCIS’ frequent and often far-reaching policy changes created lots of business for lawyers in 2018, the agency’s unpredictability and inconsistent application of the law has created a tremendous burden on US employers and their foreign-national employees and families, as well as for US business developers seeking foreign investment and foreign investors and families. Critics of the deference principle have argued that it effectively allows agencies such as the USCIS to write overbroad and substantively vague rules with the expectation that they can fill in any gaps later using interpretive rules, unchecked by notice and comments. They are urging the Supreme Court to reverse the current precedent favoring judicial deference, which would force USCIS to issue clearer and more detailed regulations, thus providing more agency transparency and accountability. The Supreme Court will hear Kisor v. Wilkie in the spring—oral arguments have not yet been scheduled—and will likely make a ruling later this year. Time appears to be almost up for more than 100,000 foreign citizens working in the United States under an Obama-era special authorization for spouses of foreign workers here on the H-1B visa. When Congress failed legislatively to address the lengthy wait times for many professionals and their families to be granted resident status, the US Citizenship and Immigration Services (USCIS) in 2015, under the Obama administration, issued a regulation to allow H-4 visa spouses of qualified H-1B professionals to apply for an employment authorization document (EAD). Some members of Congress complained that the executive branch was overstepping its authority by making law—which is Congress’s job—and the regulation was the subject of much debate during the last presidential election. Now the Trump administration is seeking to make good on the President’s campaign promise to eliminate EADs for H-4 spouses. This change especially impacts US employers of people born in India. The reason why Indian-born professionals are impacted is because there are numerical limits on the number of green cards granted each year. To promote the diversity of new immigrants to the US, there are quota limits on the place of birth. No more than 7 percent of the total number of family-sponsored and employment-based visas available in a fiscal year may be issued to natives of any one independent country. As the demand for Indian-born professionals is far greater than the annual supply of green cards under the quota, this has created a backlog. In 2018 for instance, the backlog of Indian-born professionals waiting their turn to get a green card was well in excess of a half million individuals. As a result, it now takes many years for an Indian-born professional to receive his or her green card. As a consequence, Indian-born professionals comprise the bulk of H-4 EAD holders. Under the current regulation, an H-4 spouse can request an EAD if the H-1B professional is the beneficiary of either an approved employment-based immigrant visa petition, or a Department of Labor alien employment certification application or employment-based immigrant visa petition filed at least 365 days prior to the end of the sixth year of the professional’s H-1B status. In April 2017, President Trump signed the “Buy American and Hire American” executive order, which, among other things, directed the Department of Homeland Security (DHS), in coordination with other agencies, to review H-1B-related policies. The H-4 EAD regulation was one of the policies reviewed and the result was its proposed elimination. These US employers found some support in Congress. Senators Kamala D. Harris and Kirsten Gillibrand sent a letter to DHS and USCIS opposing rescission of the H-4 EAD, pointing out that the proposed change would disproportionately impact South Asian women (in 2017, 94 percent of H-4 EAD were women and 93 percent were from India). But the administration has not changed its position. In November 2018, DHS published its mid-year regulatory agenda, which included a proposed rule to revoke the H-4 employment authorization final rule. DHS stated that “[s]ome U.S. workers would benefit from this proposed rule by having a better chance at obtaining jobs that some of the population of the H-4 workers currently hold, as the proposed rule would no longer allow H-4 workers to enter the labor market early.” With record low unemployment levels and US employers already complaining of recruiting problems, it is unclear where the DHS thinks employers will find these US workers. The new rule, if adopted, is expected to become effective in the first half of 2019 and would impact all 100,000+ individuals currently holding an H-4 EAD. Researchers also estimate that the proposed rule will affect entire families, including the H-1B professionals themselves, because many will not be able to afford to live on one income if their dependent spouse is forced to abandon his or her career. This is especially true in areas such as Seattle and the Silicon Valley, which employ high numbers of H-1B workers and have a high cost of living. Entire families may leave the US, taking their job skills to other countries to compete with their former employers—whose only options to remain competitive may be to outsource the jobs or set up their own offshore facilities. Nearshoring to Canada has become increasingly popular, due to the relatively lower cost of doing business there and proximity to the US. The direct cost of each failed expatriate assignment is estimated to range from $250,000 to $1 million, according to researchers. More important, the departure of these highly skilled workers represents a brain drain and a significant loss of talent for most companies. Dentons helps employers develop strategies to recruit the world’s best and brightest to fill posts in the US and abroad. For more information, please contact the authors or your Dentons lawyer. DHS new rule on H-1B lottery process: Who’s the winner? Following President Trump’s “Buy American and Hire American” executive order issued back on April 18, 2017, a long-awaited new rule has been proposed by the Department of Homeland Security (DHS) that would change the existing H-1B selection process, although perhaps not before the April 2019 filing season. The proposed rule would require petitioners seeking to file cap-subject H-1B petitions to first electronically register with US Citizenship and Immigration Services (USCIS) during a designated registration period, which would begin at least two weeks before April 1. The registration would require information about the employer, as well as the individual H-1B beneficiary. USCIS would then select at random from the online registration database until the limited supply available under the quota (65,000 regular cap and 20,000 US advanced degree holders) is exhausted. The big change is that US employers would only file complete H-1B petitions for the named beneficiaries who have been selected. Government processing fees would only be paid for selected petitions. Similar to current processing, DHS would prohibit more than one registration from the same petitioner for the same beneficiary during any given year. Further, the new rule would require petitioners to attest to their intent to file an H-1B petition for the named beneficiary in the position for which the registration is filed. DHS believes that this will prevent US employers from submitting a large numbers of registrations but not following up with complete filings of H-1B petitions for the selected beneficiaries—something that was not possible under the existing system. The proposed rule states that USCIS would closely monitor whether selected registrations are resulting in the filing of complete H-1B petitions. If USCIS finds that petitioners are registering numerous beneficiaries but are not filing petitions “at a rate indicative of a pattern and practice of abuse of the registration system,” it would investigate and could hold the employers accountable. The proposed rule would reverse the order by which the H-1B cap petitions are selected. Currently, USCIS first selects 20,000 with US graduate degrees, and then allow the unselected to be considered a second time, with the rest of the world, for the 65,000 quota. The proposed rule reverses this order. The proposed rule claims that it would increase the likelihood that a US graduate degree holder would be selected by up to 16 percent, but no explanation for that calculation is provided in the rule. Petitioners whose petitions are selected will be notified to file complete H-1B petitions for the named beneficiaries within a designated filing period, expected to be at least 60 days. The new rule reduces USCIS’ workload, since it does not have to handle the return of unselected petitions. However, this is not likely to speed up the slow processing of H-1B petitions, since the agency generally relies on contractors to handle mailroom services, rather than the officers who adjudicate petitions. While the new rule may reduce some paperwork for US employers, it will not likely reduce the costs, since the cost of evaluating potential H-1Bs and registering is still incurred prior to the employer signing the petition. In fact, the extra step of registration creates extra work for employers and lawyers. The anti-fraud provision of the rule attempts to address some of the realistic problems in the H-1B problem, but at the same time creates uncertainty for US employers and would most likely result in employers that have made bona fide job offers backing out for fear of the heightened scrutiny and potential liabilities. DHS estimates that it will spend nearly $280,000 to develop the new system and $200,000 per year to maintain it. The proposed rule does not charge employers for the registration. How long the agency will forgo charging employers for registration is hard to predict, but USCIS has very few services that it provides to employers without a fee. It is clear that this change will detrimentally impact the ability of US employers to continue to employ foreign workers. Current law allows the continued employment of F-1 OPT/STEM OPT and J-1 workers while the H-1B is pending, until their petitions are selected and approved OR even until the government announces they are not selected or not approved. The new rule means that fewer employers will have fewer H-1B petitions pending. The situation will be even worse if the new rule speeds up adjudications, as faster adjudications means faster denials. In sum, the new rule will result in fewer US employers being able to meet their staffing needs with pending H-1B petitions. 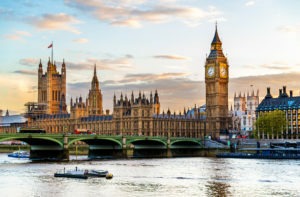 The announcement warns that the new rule may not be implemented in time for the April 2019 H-1B filing season, since there may not be enough time to fully test the system. If the new system has not gone into effect at least two weeks prior to the filing deadline, employers should be prepared to submit full H-1B petitions for all candidates on the first business day of April 2019. Employers and stakeholders have until January 2, 2019 to submit comments on the proposed rule. 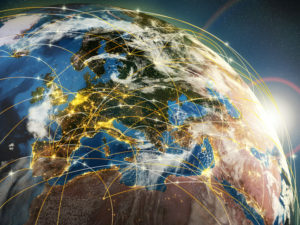 The rules regarding qualifying employment abroad, required for an L-1 intracompany transfer visa, are clarified, if not changed, in a new US Citizenship and Immigration Services (USCIS) policy memorandum (PM). In certain cases, time spent in the US will not break the continuity required, but that time will not be counted towards the required 1 year. The PM does not create new law or effect a change in policy. Its stated purpose is to clarify existing rules. The requirement that a visa petitioner meet all legal requirements at the time the petition is filed is longstanding. It already was not possible to file a defective petition and then cure that defect with facts that occur subsequent to filing. That is why L-1 petitions could never be filed before an employee completed the full 12 months of employment abroad. The PM repeats the agency’s regulation that brief trips to the US for business or pleasure do not interrupt the required 1 continuous year of employment abroad. The regulations never defined “brief” and the PM, regrettably, doesn’t either. There is an example in the memo of brief trips totaling 60 days during the 1 year. It would have been better if the PM stated whether, for example, 1 trip for 60 days is brief, or 2 trips for 30 days, etc. As a result, the situation is neither improved nor worsened by the PM’s issuance. Even though the law already clearly states that only days when the employee is physically outside the US may be counted, the PM states that time spent in the US working for a qualifying organization does not count, and updates Chapter 32.3 of the Adjudicator’s Field Manual to reflect this needless clarification. For the full text of the Policy Memo, can be found at the USCIS website. Please contact the authors for more information about this PM, the L-1 intracompany transfer visa or other business visas for the US or any other of the many countries where Dentons guides clients on business and cross-border mobility matters. Applicants waiting to file for an adjustment of status to become a lawful permanent resident may use the “Dates for Filing Applications” chart in the October 2018 Visa Bulletin to determine whether it is their turn to apply to US Citizenship and Immigration Services (USCIS). 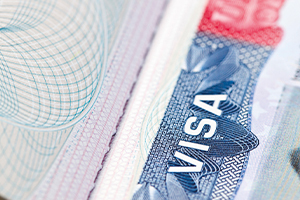 Each month, the US Department of State (DOS) publishes the Visa Bulletin, which shows immigrant visa availability for applicants waiting to file for permanent residence, either through a US consular post abroad or USCIS here in the US. There are two charts in the Visa Bulletin: “Application Final Action Dates” and “Dates for Filing Applications.” The former indicates dates when a final visa may be issued and a green card granted; the latter indicates the earliest dates when applicants may be able to apply. Generally, the Dates for Filing Applications chart has cutoff dates later than those in the Application Final Action Dates chart. This allows applicants to apply earlier and gives the government time to process the applications. After the DOS announced the dual chart system in 2015, USCIS announced how it uses the charts. Under the current procedure, approximately one week after the DOS publishes its monthly Visa Bulletin, USCIS announces on its website which chart is to be used for the upcoming month. Applicants must follow USCIS’ announcement in determining when to apply. Usually, USCIS uses the Application Final Action Dates chart which delayed filings, with the exception of only five times since 2015 when it indicated that the other chart may be used. It is therefore welcome news that USCIS has announced that the following Dates for Filing Applications chart may once again be used in October 2018. What this means is that employment-based applicants with a priority date earlier than the one indicated in the below chart, may now file their applications this month. EB1. This is the immigrant visa category for individuals of extraordinary ability, outstanding professors and researchers, and multinational managers and executives. From its creation in 1990 till last summer, this category never experienced waiting periods (with the recent exception of some individuals born in India and mainland China). However, in August and September 2018, the State Department reported a waiting time for all countries of birth. It now predicts the continuation of a waiting period, and not to expect much forward movement before December 2018 or the first quarter of 2019. EB2. This is the immigrant visa category for professionals with an advanced degree and individuals with exceptional ability. Since its creation in 1990, this category had not experienced waiting periods, with the recent exception of some individuals born in India or mainland China. However, in September 2017, a waiting period was reported for all places of birth. Now, the State Department expects this visa to again become immediately available starting in October 2018 (with the exception of people born in India or mainland China, who will continue to experience lengthy wait times). EB3. This is the immigrant visa category for professionals and skilled workers. It typically has a wait period of only a few months, except for individuals born in India or mainland China, who have experienced lengthier wait times. While the State Department predicts a wait period for all countries of birth for September 2018, it expects visas in this category to become immediately available again in October 2018 (with the exception of people born in India, mainland China and the Philippines, who will continue to experience lengthy wait times. EB5. This is the immigrant visa category for immigrant investors. It will remain available to all individuals, regardless of country of birth, but with wait times for people from China and Vietnam. For the latter, visas will be more readily available after October 2018 until March or April 2019, when the wait time will be the same as that of Chinese investors. The State Department reports immigrant visa waiting times in its monthly Visa Bulletin, which can be found here. The current month and links to past months are available. EU citizens will be able to apply for settled status in three easy steps and for less than the price of a passport, under plans outlined by the Immigration Minister today. For more information, please contact your Dentons lawyer. For the full text see the Gov.UK website. Dentons is the world's largest law firm, delivering quality and value to clients around the globe. 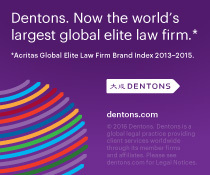 Dentons is a leader on the Acritas Global Elite Brand Index, a BTI Client Service 30 Award winner and recognized by prominent business and legal publications for its innovations in client service, including founding Nextlaw Labs and the Nextlaw Global Referral Network. Dentons' polycentric approach and world-class talent challenge the status quo to advance client interests in the communities in which we live and work. www.dentons.com.